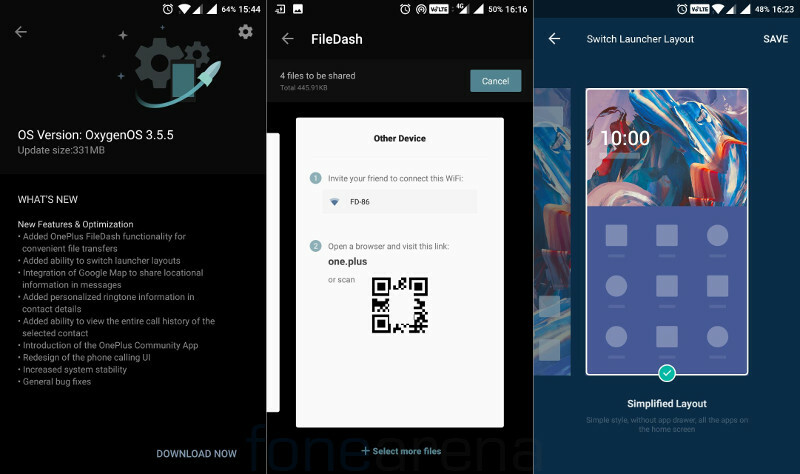 Today, OnePlus 3 received OxygenOS 3.5.5 community or beta build, which brings some new features like, DashFile transfer feature inside file manager for easy file transfers with the other devices, new Community app, redesigned Phone calling UI, new simplified launcher layout like HydrogenOS and lots more new features, stability improvements and bug fixes. The update is 331MB in size and is rolling out worldwide. You can get the OTA file or full ROM from OnePlus website directly, if you don’t want to wait for the over-the-air update.